This simple and delightful Melbourne wedding comb can be made in silver, gold or rose gold. Each having their own uniqueness. 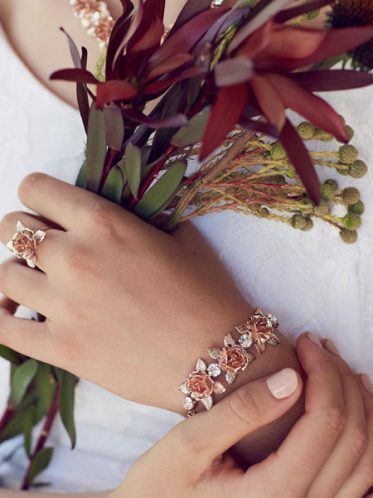 Rose gold is extremely popular at the moment creating a vintage look. It is also a colour that is very complimentary to most skin tones. Custom made in Melbourne for you in 3 weeks and available from Leah S Designs. Also available matching wedding earrings and necklace. Or you may prefer a head band featuring the brilliant hand crafted roses. 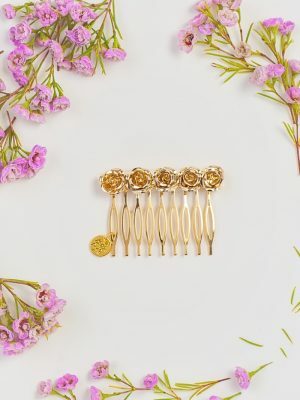 The Melbourne bridal hair comb has been designed to either wear alone in the hair or in a bun. But also has the versatility to be worn on top of a bridal veil Wedding dress veils. 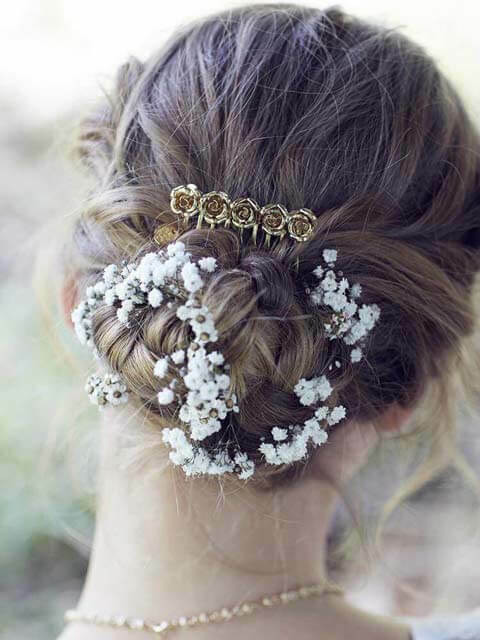 Let your imagination run wild an create a look that is truly your own. Jewellery Proudly made in Australia. Just one of the many unique and stylish wedding dress jewellery pieces in our Melbourne bridal shop. Leah S designs also stocks an extensive range of wedding dresses all styles from mermaid to ballgowns in sizes 6 to 34. The full Plus Size perfection Label is available at our Hallam Store over 50 different plus size wedding gown styles. Also affordable designer Deb dresses.